Thanks to our Senior Sparkle Correspondent Cleolinda Jones for joining us this month, as well as Noel from I Hate/Love Remakes and our glutton for punishment K.C.! Cleo has Breaking Dawn In Fifteen Minutes up on her blog, and she just knocked it out of the park. MarzGurl has been picking apart the first Twilight novel rather effectively, if you feel like going back to basics. A more innocent time, if you will. 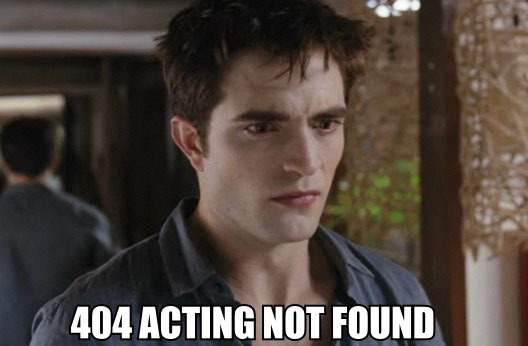 This isn’t mentioned in the episode, but Robert Pattinson is the greatest Twilight troll of all time and we just had to share it.